Fierce Fun showcased an early demo version of Mindframe Arena at the DIT State of Play games exhibition. State of Play 2017 was held in the Dublin Institute of Technology Aungier Street campus. SOP brings together some of commercial and academic players in the Irish games industry. In addition to the games exhibition, there was a series of talks from game development professionals, both Irish and international. Fierce Fun used the exhibition to get some feedback on the Mindframe Arena gameplay mechanics and concepts. Mindframe Arena is what we call a ‘card board’ game, mixing elements of card trading games and classic board games. Generally, we received a positive reception to the game. Obviously, it was a very early version that we were showing but it proved a very useful overall exercise. 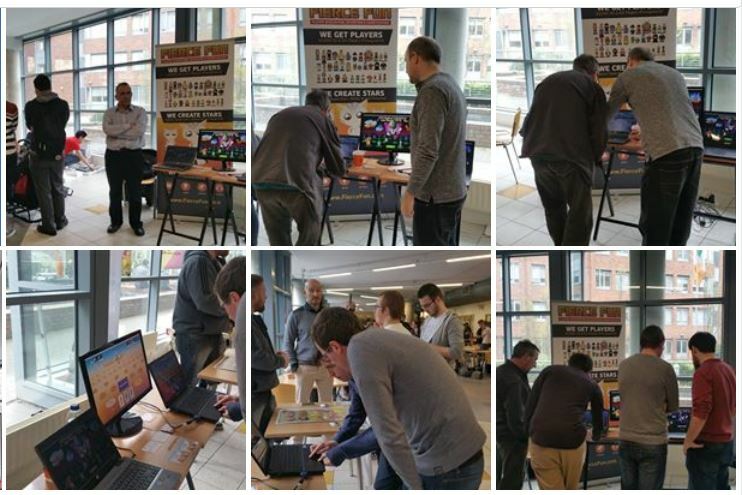 SOP is a great event to showcase Irish indie and student gaming talent – long may it continue! Posted in Cloud Gaming, Fierce Fun, Mindframe Arena, Mobile Games and tagged DIT SOP, Dublin Institute of Technology, Irish game developers, Mindframe Arena, State of Play.